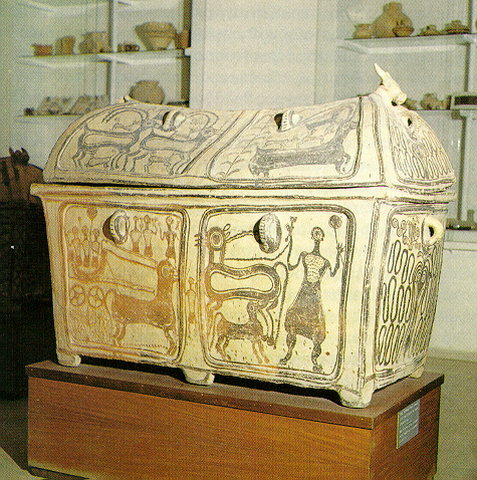 Minoan III (1400-1200 B.C.) vases, mostly stirrup jars and kraters. Archaic art (mostly figurines and relief plaques) of the late 7th-6th centuries B.C.